A family mystery unfolds deep in the heart of Texas as a grisly discovery is made in the farmhouse she has inherited. As the truth unravels so does the woman’s sense of identity and self. 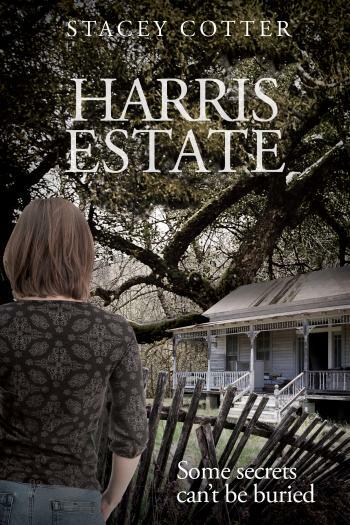 Leah Murphy arrives in the small town of Oakdale, Texas with the intention of selling the Harris Estate, a property left to her by her Uncle Kent Harris. She soon learns about hidden family secrets buried in the dark reaches of the decaying old farmhouse. The discovery on the property sparks an investigation with local authorities, which opens up Pandora’s box. Leah’s entire identity falls apart as her family becomes a jigsaw puzzle of new pieces rearranged and fit back together. During these trials and tribulations, her marriage is tested, her desires are amplified, and she has decisions to make that will affect everyone she loves. Harris Estate is a cryptic and intriguing story of betrayal, buried secrets, and a woman’s life come undone.